The first thing I taste is a light sweet. A faint salt comes in slowly, along with a light heat in the background. The chewing brings on the natural meat flavors, and finally a touch of habanero flavor comes in. For being named "Spiced Just Right", certainly it has a light bit of heat, what I would register as "Mild Medium" on our heat scale (level 2 out of 5). But for being described as having maximum habanero flavor with minimal heat, it falls short. I don't get a "maximum" level of flavor, it's really just a light amount. I've tasted far more habanero flavor in other brands where they left the heat in. 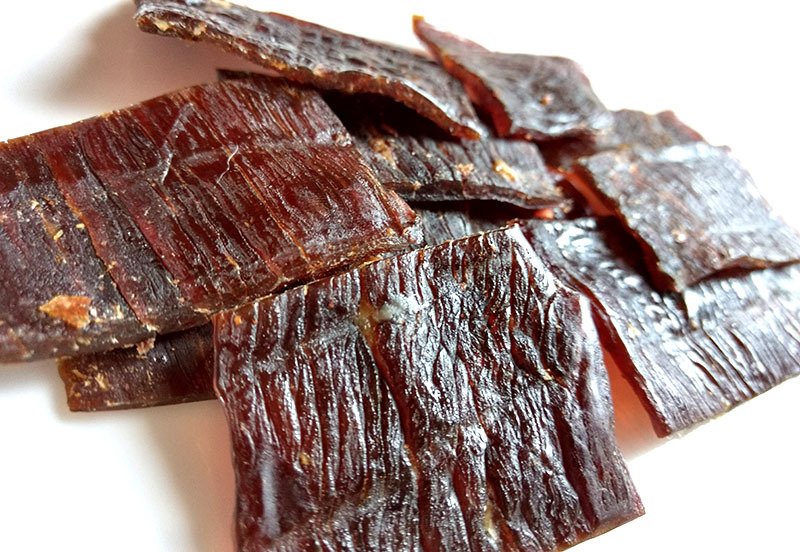 Otherwise, the primary taste profile is a light sweet and a light salt and a touch of seafood flavor, but spiced with a light habanero, and a light natural meat flavor in the chew. 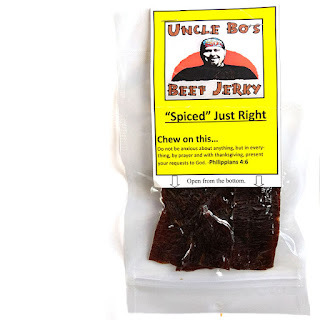 This "Spiced Just Right" certainly is spiced at a low level of habanero heat, and for that matter alone, this jerky delivers on its advertised claim. But when it comes to the Uncle Bo saying they've maximized the habanero flavor, it just falls short. It's a cool idea for a jerky to limit the heat while intensifying the flavor, I just needed more flavor to satisfy my love for chile peppers. 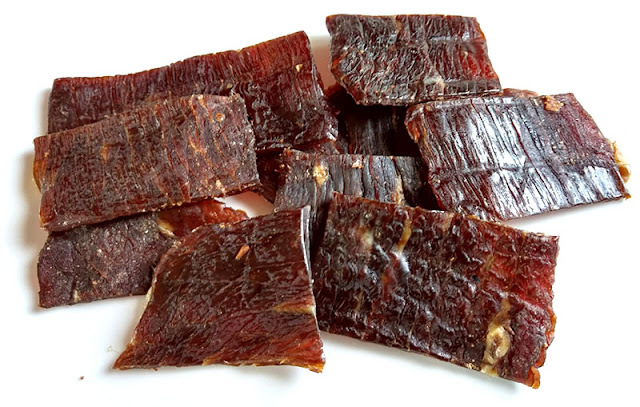 It's still a good jerky in its own right, and it will offer "some" habanero experience for those who can't handle the heat. Meanwhile, as with other flavors from Uncle Bo's, the meat consistency and chewing texture is great, and is enough to help this jerky rate higher than just on taste alone.